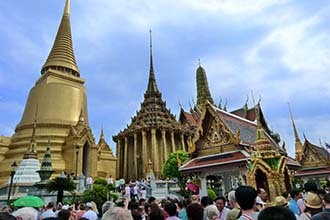 Visiting the Grand Palace, Floating Market, Tiffany Show (VIP Booth), Elephant Rides, Nong Nooch Village, Chao Phaya River Dinner Cruise, Thai Massage. 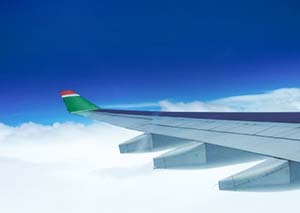 Depart Los Angeles for Bangkok. 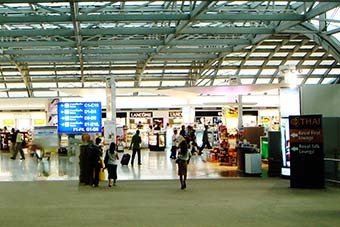 Arrive at Bangkok International Airport, Our Tour Guide with the " Super Vacation " Sign will Welcome you and Transfer to Hotel. After breakfast, take the typical Thai Long Tail Boat to visit famous Damnonsaduek Floating Market. After Lunch visit The Grand Palace and The Emeraid Buddha, Four Face Buddha. Evening enjoy a romantic dinner cruise on the Chao Phaya River. Accompanied by melodious misic while taking in the sights of glittering lights of the river banks. 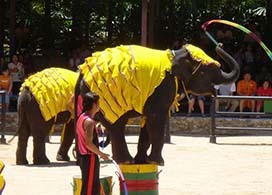 Visit the leather center and Snake Farm in the morning, After lunch, transfer to Pattaya, Nong Nooch Village for a glimpse of Thai culture and traditions and the fancy elephant show. A chance for you to experience an elephant rides in the evening. You will enjoy our Thai physical massage. After breakfast, we will take speed boat to Coral Island for one day trip. Host of optional activities and water sports. 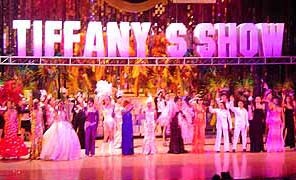 After Dinner, Enjoy the Lady-boy cabaret Show in the Fantasy Pattaya Night. 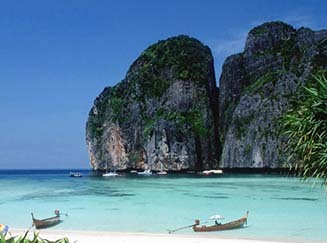 After Breakfast, Transfer to airport for a flight to the beautiful – Phuket Island. After lunch, visit Phuket city. In the evening visit The Cape Promthep situated is the southest of Phuket Island. Enjoy sunset on the Indian Ocean and visit Light museum and the Gypsy Village at Rawai beach. After Dinner Back to Hotel. After Breakfast, Transfer to Ao-Bo pier and take a big boat to the 「 Phangnga bay」. Enjoy the sea canoe tour. Visit the James Bond Island and the Natural Beautiful Cave. Lunch on the Phangnga Bay Boat. After lunch you can feel free to enjoy the canoe tour. Dinner on Phuket Island. After Breakfast, Transfer to Airport for Flight Home. ※ Tax and fuel surcharge. ※ Driver & tour guide’s tips at $8 per day per person. ⊙ Child (under 12 years) with no bed is CX 80% (BR 90%) of the adult fare. 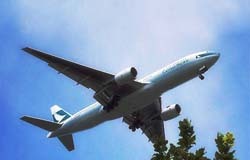 ⊙ Fare are based on the low season fare of CI005/BR5 free stop Taipei/CX-V free stop Hong Kong. ⊙ Weekend surcharge CI/BR $30 each way, CX $50 each way. ⊙ Other Seasons, airlines, Gateways Departure, Please call for Details.